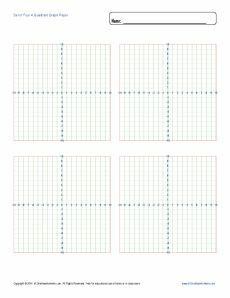 This set of four 4 quadrant graph paper is sure to save time and paper. Print as much as you like or need. We think you'll like the convenience, as well as the fact that it's free!